Please see link below for St Mary's uniform. YourSchoolUniform.com has been supplying schoolwear to primary and secondary schools for more than 10 years and was the pioneer in the ‘parent online service.’ Where schools prefer to refrain from handling uniform sales, parents can place uniform orders online and items will then be delivered directly to them. The online price paid by parents can be varied by the school to allow a commission to be paid to the school’s funds if required. We work with the school to select the items of uniform, logos and web page set-up. Schools have full control and as the storage, dispatch, administration etc. is dealt with by us, this frees up valuable school resources. Items are prepared on demand. Parents have online visibility of stock/availability. Parents can pay online, over the phone (by credit or debit card) or by cheque. Delivery is free of charge on orders over £40. Orders under £40 will incur a small delivery charge of £3.99. Parents can have their order delivered to any UK mainland address or to the school if the school has chosen the ‘collect from school’ service. Returns are free of charge with the pre-paid postage label supplied. In addition to the items specified by the school, parents can also order a wide range of general schoolwear and accessories on the website if they wish. If parents require help with ordering, they can use the live online help or call customer services. 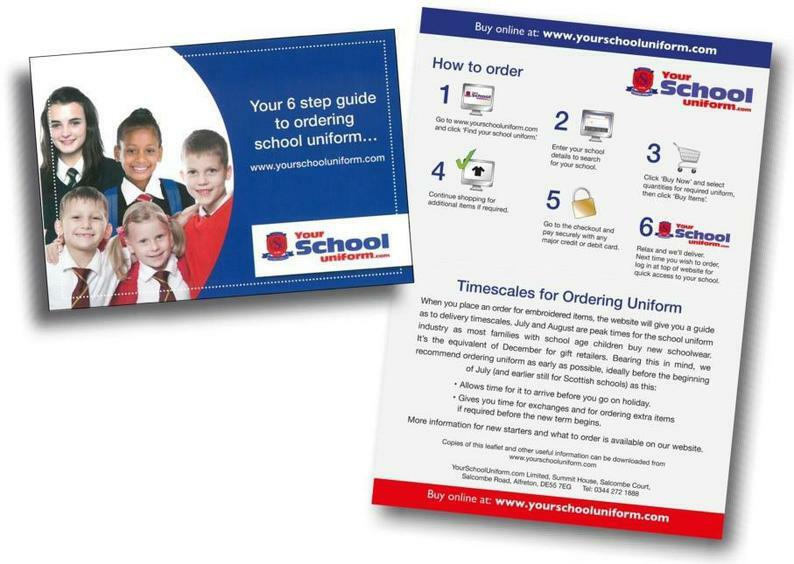 We provide schools with a range or letters, leaflets and posters containing information about ordering school uniform. These can be given out at parents’ evenings or included in hard-copy or e-mail newsletters. Schools can also download these documents from our website. 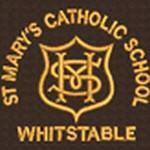 PLEASE SEE PFA LINK http://www.st-marys-whitstable.kent.sch.uk/pta-used-uniform-price-list/ FOR MORE INFORMATION ABOUT USED UNIFORM LIST AND PRICES.